Make use of your unused battle boosts and add the mysterious Mithril Shards to create powerful new items. You must own Foreveil and have completed the second battle of the Arbos' Secret campaign to construct an alchemy workshop. Causes all troops to gain 2 x bonus mana on destroying buildings. It's possible to craft up to five pieces of Mithril (one for each level up to Alchemy Workshop level 5). 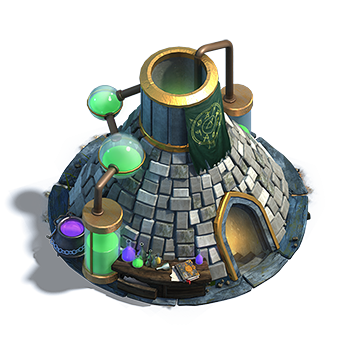 Once you have unlocked the level 6 Alchemy Workshop a new Mithril recipe will become available with no crafting limit.